My first impression of the website was not entirely positive. Yes, the prices are transparent and fair. Yes, most types of services that students need are being provided. There’s also a blog with free tips on essay writing. But, what about the policies? I was looking for the terms and conditions to check my rights as a user, and guess what: they are nowhere to be found. There’s a pretty clear Money Back policy, but you have no idea how they handle revisions, privacy, and late deliveries. There’s a User Agreement which you agree to at the checkout, but it doesn’t include these policies. The paper I got was not awful, but I’ve certainly used better services for that price. I ordered an essay from the subject area of history. Most fields of study are available, and the customers can make a choice among a wide selection of papers. The basic list of services includes lab report, book report, research paper, dissertation, PowerPoint presentation, thesis, research proposal, term paper, speech, short story, and few other types of academic content. In addition, college applicants can order admission essays from EssayLab. The prices are okay. It’s not the most affordable service on the market, but it doesn’t go overboard with the pricing. I ordered the paper in College Sophomore level, with a deadline of 7-8 days. The price per page was $24.75. 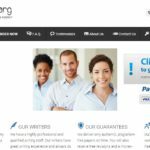 The full price range for writing from scratch ranges between $16.50 and $44.20 per page. Did you notice something unusual about the deadline? It’s not precise. You don’t know whether you’re going to get the paper in 7 or 8 days. The longest deadline is worse: 15+ day. The shortest deadline is 3-23 hours. That’s a big problem for a student who has a clear deadline for the assignment. Unfortunately, there are no discounts at this website. The prices in the chart are very clear, and that’s exactly how much you’re going to pay when you order a paper here. I contacted the support to see if they could give me a code, but I didn’t get one. 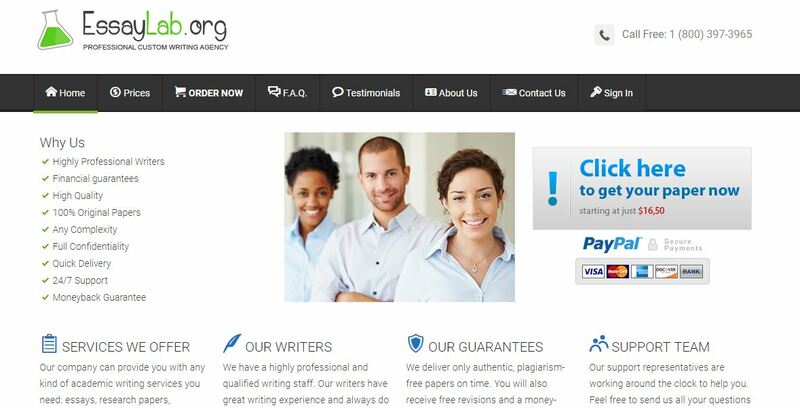 As for the free features, the website lists title page, outline, revisions, e-mail delivery, and plagiarism report. Unfortunately, I didn’t get a plagiarism report for free with my order. It’s one of those multi-step order forms that require you to sign up before you can start providing the details for your order. It requires your full name, email, and phone to sign up. As soon as I went through this stage, I started receiving promotional emails from Essay Lab. I call that spamming. It was easy to track the progress of my order. I could contact the customer support and they gave me updates on its status. However, there was no direct communication with the writer. I got the paper in 8 days. That’s exactly why the deadline of 7-8 days is an issue. If you need the paper in 7 days, you’ll have to go for a lower deadline and pay a higher price. The paper was good. The writer provided enough references, and they were all from trusted sources of information. I asked for some minor changes, but the support team did not approve my request. Overall, it wasn’t a completely disappointing experience, but Essay Lab is not the most professional service you can count on.